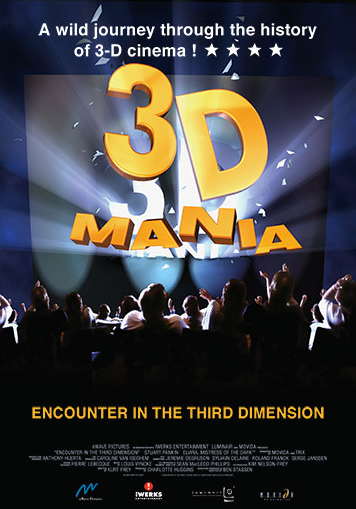 Get inside the world of 3D cinema… The Professor and his flying assistant Max, invite you to enter the phenomenal world of 3D cinema. Join them in their state-of-the-art laboratory at the Institute of 3D Technology as they investigate the history and science behind 3D photography and 3D movie-making. This odd couple intends to make 3D history with their most amazing invention to date, Real-O-Vision: A machine that will allow them to turn a flat shape into a three-dimensional object. What happens next is a feast for the senses; just be sure to keep your eyes on the screen and WATCH OUT!